This is the sixth video from Egotistical Opinions . 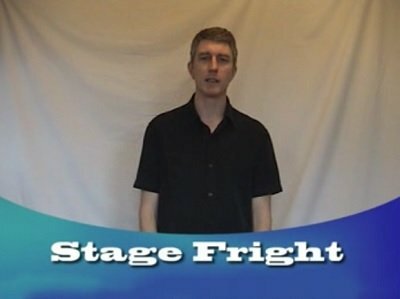 In this six minute lesson Ian explains his approach for conquering stage fright, a proven method that may sound strange, but one that means stage fright, and 'shaky hand syndrome' are a thing of the past. Everyone can benefit from this advice, beginners and experienced performers alike.